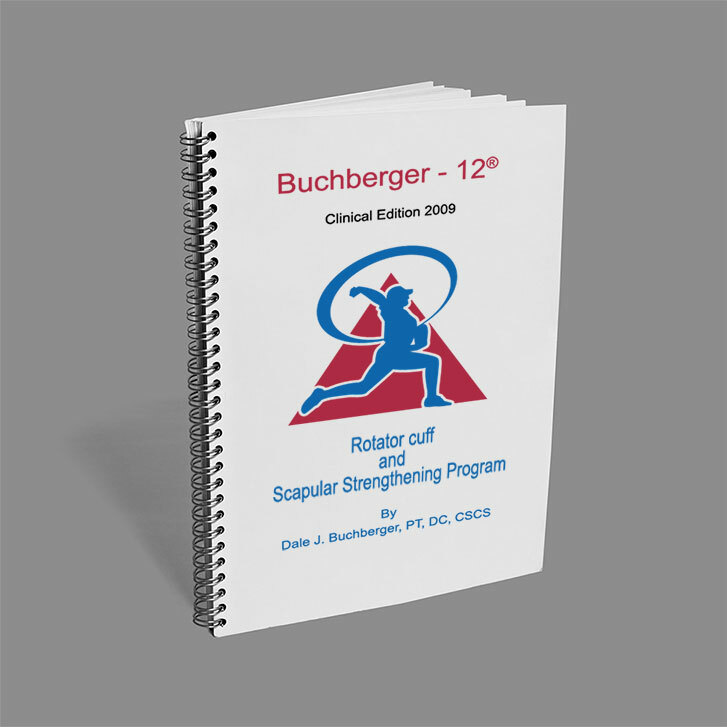 Buchberger-12® Clinical Edition 2009 manual, rotator cuff and scapular strengthening program, progressions, rehabilitation protocol. Photos and instruction of all 12 exercises with progressions. Explanation of which exercise works which muscle. Injury prevention tips for weight training. The Buchberger-12® Clinical Version 2009 includes several changes and additions for the health care provider and the patient. Progressions have been added to help guide patients and providers alike in achieving correct performance of the Buchberger-12®. Clinical notations regarding when to use or discontinue an exercise have been included. Lastly, Dr. Buchberger’s shoulder instability rehabilitation protocol has been added as a bonus. This is an excellent product for those that continue to like a print format. Best uses: Physical Therapists, Chiropractors, Certified Athletic Trainers, Medical Doctors, Nurse practitioners, Physicians Assistants and Osteopathic Physicians.